Economy – The US is said to be the largest giver of foreign assistance: this president Trump wishes to curtail when it comes to countries unfriendly to the US. Understandably, the threat of cutting off aid to countries that vote against the US at the UN’s smacks of coercion, but one cannot really take issue with the principle at stake; can one? Judge Dennis Davis, this week, raised the question of how the government is going to be able to fund the economic stimulation package announced by Ramaphosa. He noted that ahead of the election no public wage bills will be cut. He also noted that whilst wealth taxes may appear to be an answer, they do not bring in a lot of money; in any event, owing to our declining levels of tax morality, such taxes do not appear to solve the problem of funding the promised stimulation package. He mentioned a proposal that I have heard before: that top companies should contribute 1% of their capitalisation value to a fund which would be used solely for the purpose of developing the economy: call it redistribution (redistribution sounds good, but tax really is little else other than that?). The dispute between the KZN Law Society and Varsity College over the latter’s LLB accreditation has taken a new turn: the Council on Higher Education confirmed that there is no difference in the quality standards applicable to the Varsity College degree compared to that offered at public universities. This is not disputed by the Law Society. I confess that, whilst the Law Society’s take may be literally correct, it will be a dark day if students at this college is not allowed into the profession. The High Court in Pretoria has ruled that, where the monetary value of an action or application is within the jurisdiction of the magistrates’ courts, such actions or applications should be instituted in those courts, unless the High Court specifically grants permission for it to hear the matter. The bone of contention was that banks wished to approach the High Court, claiming that the magistrate’s’ courts were inefficient. The court disagreed and found this to be an abuse of process and impinged on the rights of access to justice of poorer litigants. A divided bar? Zimbabwe had, following on the Beadle Commission, fused their legal professions in 1981. The arguments then raised for and against fusion revolved around (amongst others) efficiency and objectivity. One of the considerations that weighed heavily was the argument that a fused profession could deliver cheaper legal services than was the case under a divided system. The counter argument was that, because an attorney’s overheads are much higher than those of an advocate, the latter could in theory deliver the same services more cheaply. Also, because of an advocate’s greater experience he would be more efficient than an attorney. The Beadle Commission considered these and found for a fused system. Who must sue for eviction: the owner or the mortgagee? ADR in commercial practice and in the construction industry: two UCT professors and the director of an international law firm teamed up to write a note on ADR, finding that it is often the most appropriate form of dispute resolution, especially where social capital is at stake. Ask me for a copy. No, it’s not a virus; you just never knew your husband was meditating… Apparently one needs to end off one’s yoga session with the corpse pose and hold this for at least 15 minutes… Give your man a break! I have a visceral dislike of Minister Bathabile Dlamini: arrogance built on being untouchable has no place in governance. Would someone buy those judges at the Concourt a Bells! Monks do yoga? Yes? 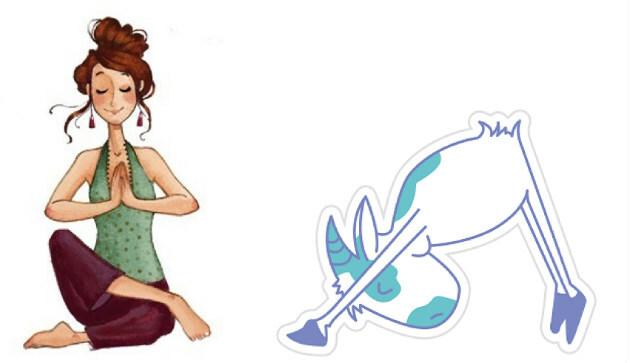 What follows below is what I have in mind in my sojourn to the East (surrendering myself to inner peace and so on…), and what is real (incidentally the image on the right was titled: Joga Goat! ).